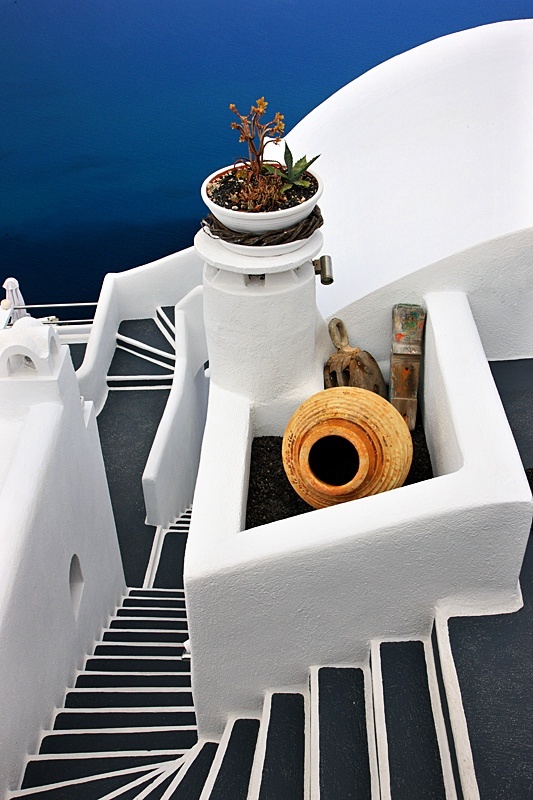 The Cyclades are Greek islands located in the southern part of the Aegean Sea. The archipelago contains some 2,200 islands, islets and rocks; just 33 islands are inhabited. For the ancients, they formed a circle around the sacred island of Delos, hence the name of the archipelago. The best-known are, from north to south and from east to west: Andros, Tinos, Mykonos, Naxos, Amorgos, Syros, Paros and Antiparos, Ios, Santorini, Anafi, Kea, Kythnos, Serifos, Sifnos, Folegandros and Sikinos, Milos and Kimolos; to these can be added the little Cyclades: Irakleia, Schoinoussa, Koufonisi, Keros and Donoussa, as well as Makronisos between Kea and Attica, Gyaros, which lies before Andros, and Polyaigos to the east of Kimolos and Thirassia, before Santorini. At times they were also called by the generic name of Archipelago. The islands are located at the crossroads between Europe and Asia Minor and the Near East as well as between Europe and Africa. In antiquity, when navigation consisted only of cabotage and sailors sought never to lose sight of land, they played an essential role as a stopover. Into the 20th century, this situation made their fortune (trade was one of their chief activities) and their misfortune (control of the Cyclades allowed for control of the commercial and strategic routes in the Aegean).